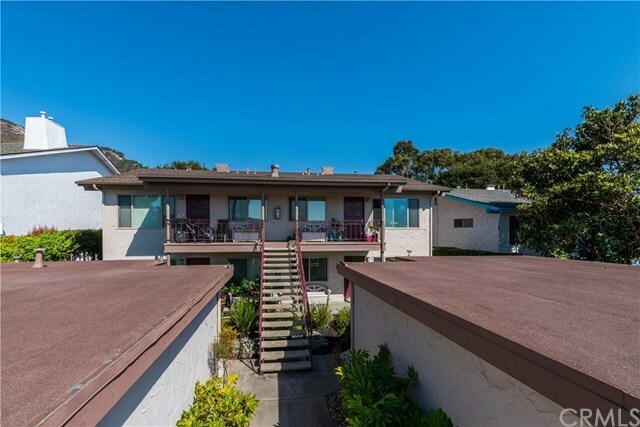 Rare opportunity to purchase this four-plex in beautiful Shell Beach! Located in the desirable Spyglass neighborhood, this building features four 900 square foot units, each with 2 bedrooms, and 1 bath. The building also includes a community coin operated laundry room, and separate utilities. Easy northbound and southbound access to Hwy 101. Just minutes to San Luis Obispo, Arroyo Grande, Santa Maria, and the Edna Valley wine country. Directions: Spyglass exit from the 101, West on Spyglass Cross Shell Beach Road, Spyglass Turns to Solano. Pass Park Entrance, around the bend.